Cobble stone sink made out of a solid piece of real cobble stone. Inside of the sink is polished and most of the outside is left with a rough natural finish. The style and design is more obscure and less formal. This is a great example of the custom sinks we are able to make. The shape is a rounded oblong oval like design. This works great as a vanity sink. It can also be carved from marble or travertine. 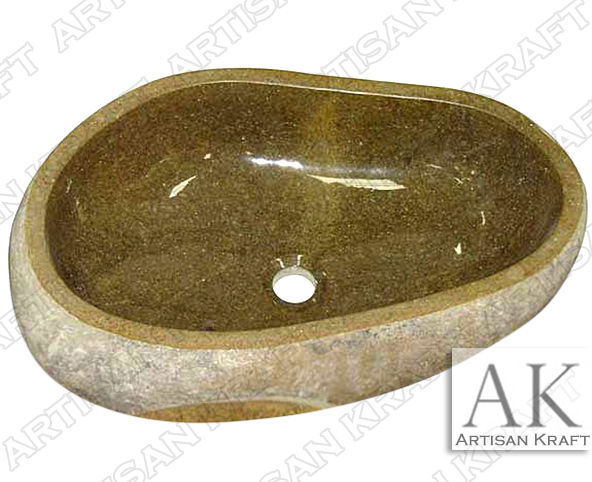 Click this link to view more kitchen stone sinks.